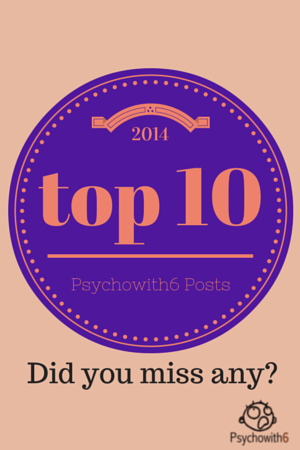 Top 10 Psychowith6 Posts of 2014: Did You Miss Any? 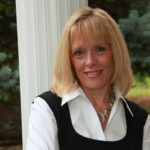 I love to write, but I really love to write about the topics that matter most to you. The top 10 most popular posts help me determine that. Did you miss any of these? If so, click the title to read them. Here’s to a great new year of discovery and sanity-savers. Thank you so much for reading, commenting, and sharing. You are a blessing! 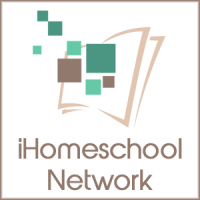 Classical Conversations has become extremely popular with homeschoolers and this huge list of resources organized by cycle and subject area seems to be helpful for those enrolled in the program and those who are curious about it. This guest post by Francis Wade really resonated with readers and with me personally. In fact, it made me change how I manage my busy life. Don’t miss this one! I was really blown away by the quality of the free piano instruction Joseph Hoffman supplies and I couldn’t wait to recommend it to readers. Apparently I’m not alone in my opinion! 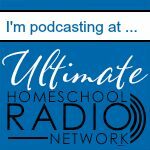 I enjoyed a great conversation with Joseph on my podcast that I link to as well. I started this challenge at the beginning of 2014 and it has grown in popularity as we begin a new year. I am going to be removing the dated calendars, so you can choose to do the challenges in order or when it works for you. 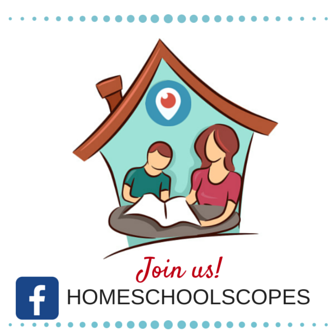 Get your homeschool organized in just an hour a week! My experimentation with a daily, weekly, monthly to-do list was very popular in 2013, so I wasn’t surprised when my recommendation of another list of this type turned out to be very popular. Would it work for you? I will say that I was a little surprised by the popularity of this challenge, but happily so. I shared my approach to personal, couple, and family devotions and how to make them habits. I was surprised that so many haven’t found the right approach to make devotions a part of their lives, but I am thrilled by the heartfelt desire to make it happen. Anything to do with to-do lists is popular on Psychowith6 and this post where I give suggestions for how to manage one is no exception. What’s most important is not the type of list you use, but your commitment to using one consistently. Get the inspiration you need here. I knew bucket lists were popular, but I didn’t know what a happening time fall is on Pinterest. I you love fall bucket lists, pin this post so you’re ready way ahead of time. Tom Dixon wrote this post and since no longer has his Monday is Good blog, but I think you’ll be inspired by his excellent goal-setting advice. Routines have changed my life. It’s hard for me to believe that I once had a willy-nilly-not-so-happy lifestyle, but I did. Complete this challenge for a routine that could change your life, too. 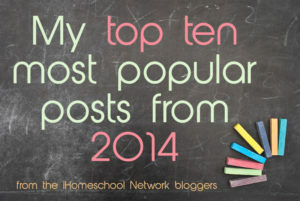 You’ll enjoy reading the other iHomeschool Network bloggers’ top ten posts of 2014.